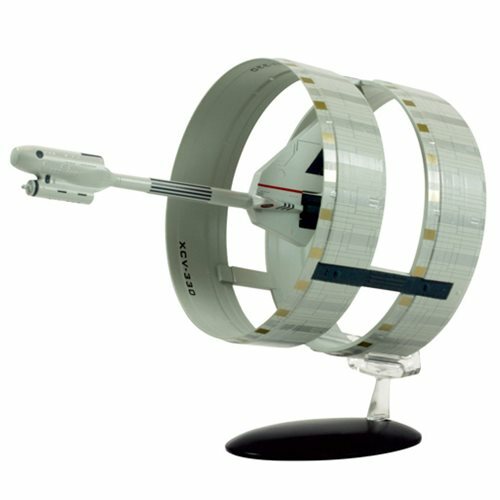 Star Trek Starships Special U.S.S. Enterprise XCV-330 Vehicle with Magazine #18 is the much sought-after and rarest of Enterprises, the U.S.S. Enterprise XCV-330. It has been painstakingly recreated in die-cast metal, high quality ABSmaterials, then hand painted with an incredible level of detail. Measures 8 1/2-inches long. Ages 14 and up. Star Trek Starships Spec. #16 Deep Space Station K-7 & Mag.